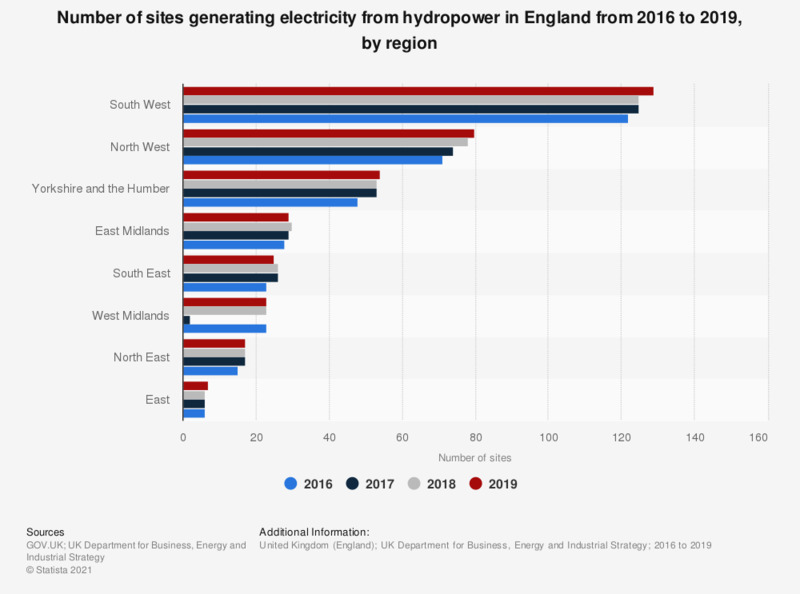 This statistic shows the number of sites generating hydro power in England in 2016 and 2017, by region. In 2017, the largest number of these sites was recorded in the South West at 124. An increase of two sites compared to the previous year. Everything On "Renewable energy in the United Kingdom (UK)" in One Document: Edited and Divided into Handy Chapters. Including Detailed References. Statistics on "Renewable energy in the United Kingdom (UK)"